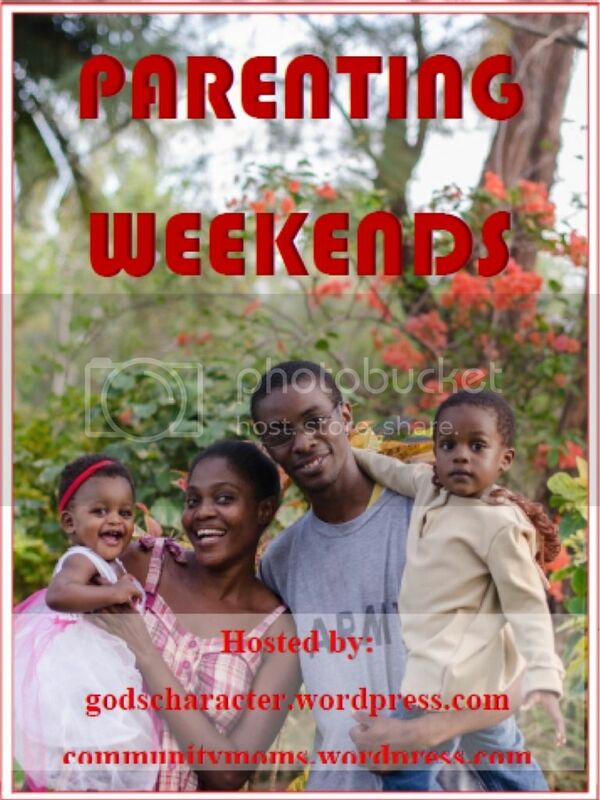 Parenting Weekends is a Series co-hosted by God’s Character, Me Too Moments for Moms and My Divine Blessings. In this series we invite writers to share their parenting tips, tricks and experiences on various topics. If you are interested in writing for the Parenting Weekends please comment below or email Me, Tanya, at godscharacter@outlook.com. Please note that all posts must be submitted by the 24th of the previous month that you wish to write for. This world has a lot of pain and suffering. How can we raise our children not only to feel saddened by the pain that others feel, but also to reach out to help others? How do you build responsibility in your children? Share the different areas and ways in which you teach your children to be responsible. As parents we need to set boundaries to keep our children safe and to help guide them. In setting those boundaries we have to be careful to do it in such a way that we don’t suppress our children’s individuality. We have to hold them but not squeeze them. Everyone is special and precious. Our worth does not depend on what we have, how we look or where we live. Share how can we teach our children that their worth is infinite! Overwhelmed. Tired. Frustrated. Screaming. Tantrum. How on earth do parents maintain their sense of calm when disciplining their children amid all the chaos of life? Parenting is no easy business and it often times seems ten times worse when a strong-willed child is thrown into the mix. How do parents of strong-willed children cope? What advice can we share with parents?